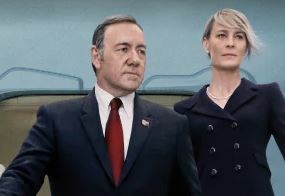 TVNewser: House of Cards fans and haters of the fourth wall rejoice — Kevin Spacey is joining CNN for a docu-series titled Race for The White House. SocialTimes: StubHub’s music app has integrated with Spotify to help you attend more concerts that you hate. GalleyCat: WSJ’s book of the month is The Maltese Falcon, which is not about a bird that enjoys a relaxed, island lifestyle.